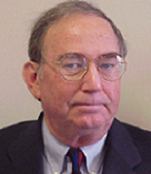 Dr. Tom Barnes is a Professor Emeritus of Cardiopulmonary Sciences in the Department of Health Sciences, Bouve College of Health Sciences; and Lead Faculty Member and consultant for the Master of Science in Respiratory Care Leadership Program, College of Professional Studies. Dr. Barnes was a tenured Full Professor and Director of the BSRT Program at Northeastern for 29 years before moving to emeritus status. Besides this course Tom teaches RPT 7215 Applied Respiratory Care Research, RPT 7200 Advanced Cardiopulmonary Physiology, RPT 7205 The Evolving Roles of Respiratory Care Professionals in the MSRC Leadership Program. He is an AARC Past-president, an AARC Life Member, and a Jimmy A. Young Medalist, and AARC Fellow. Dr. Barnes has published over a 100 research articles and abstracts, textbooks, book chapters, and multimedia programs. He has served as co-chair of the AARC 2015 Conferences 2 & 3 and is first author on two 2015 conference papers published in Respiratory Care. Dr. Barnes served as Chair of the 2015 Research Group for the third 2015 Conference. Tom has served for 16 years as the AARC's representative to the American Heart Association Emergency Cardiovascular Care Committee. He has also been the AARC's representative to the NBRC (9 years) and JRCRTE (8 years). Early in his career he was Speaker of AARC House of Delegates. He is a Product Design Consultant for Mercury Medical. Dr. Barnes is President of the Coalition for Baccalaureate and Graduate Respiratory Therapy Education (CoBGRTE). He was selected in 2010 by the AARC Education Section as Practitioner of the Year.